This building known as the Whaleback has been owned twice by Bard. Early in the 20th century, it was a student dormitory, (see: http://www.hrvh.org/u?/bard,212). In 1965 Bard purchased it for use as faculty apartment housing. Originally, this was the farmhouse of a large ten thousand acre farm owned by the Lewis family. 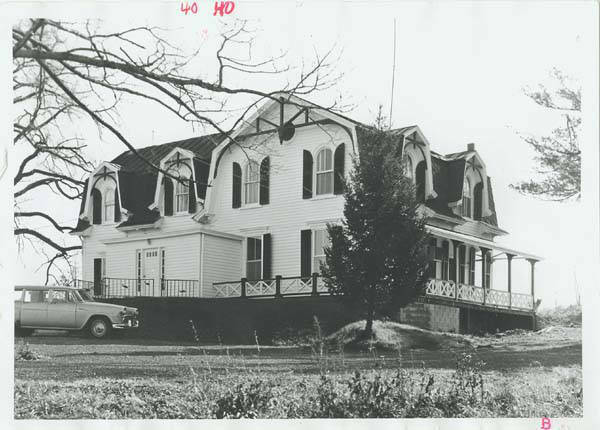 In 1950, it was operated as an inn, and today it is a privately owned apartment house. Prior written permission required to use any photograph from the Bard College Archives. Sass, Fred J. (Red Hook, N.Y.), “Whaleback,” Stevenson Library Digital Collections, accessed April 20, 2019, http://omekalib.bard.edu/items/show/1026.